Every day, millions of Uber rides start the same way. The rider says his or her name and the driver confirms it. Then the trip begins. It’s a typical exchange that many riders take for granted一especially since thousands of people who drive with Uber are Deaf or Hard of Hearing, and collectively they’ve completed millions of trips. We believe in technology’s power to bring people together and create opportunities where they didn’t exist before. It’s why we launched features in 2015 designed with the community of Deaf or Hard of Hearing drivers in mind. And it’s why we’re excited to take another step forward by giving riders the tools needed to connect with drivers who use American Sign Language (ASL). 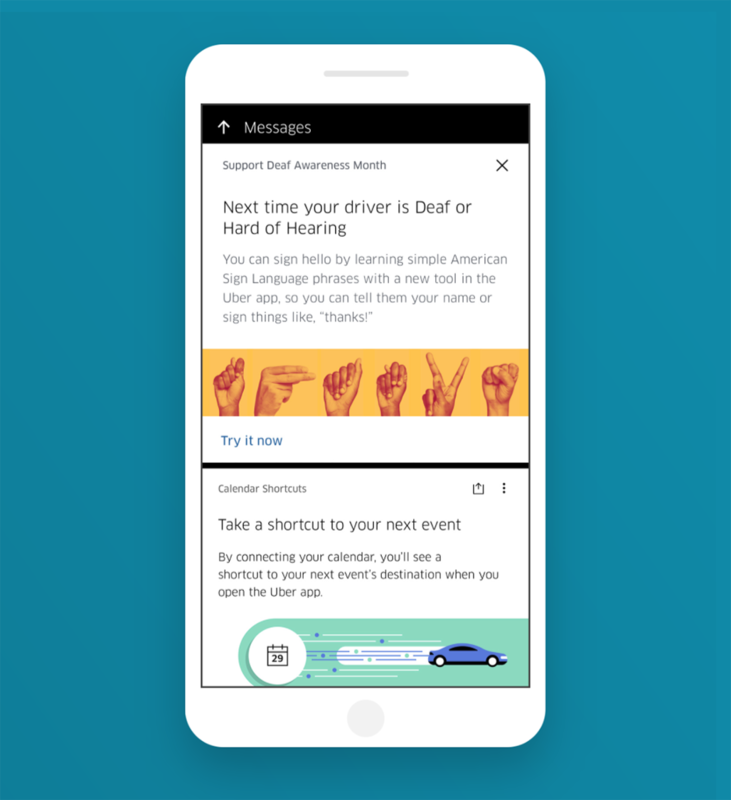 To wrap up National Deaf Awareness Month, riders can learn how to sign basic phrases in ASL right from the Uber app. Actions mean more than words, and we’re excited to create new and meaningful ways for people to earn money and connect, regardless of how they communicate. We hope this small update will contribute to a much larger conversation between riders and drivers around the world.